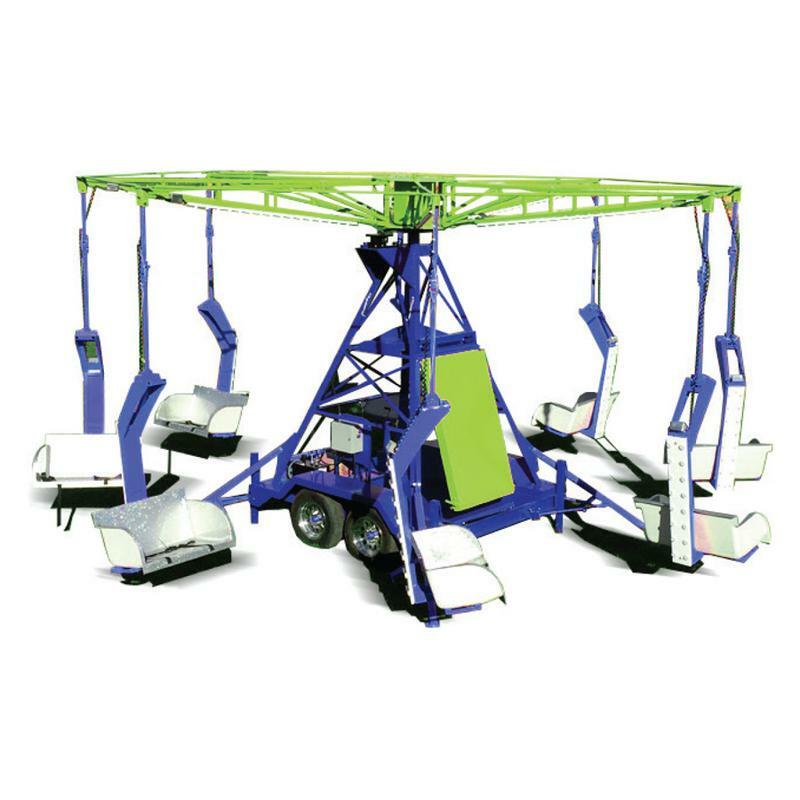 The Ballistic Swing Ride can accommodate up to 16 kids or adults at a time. It's a super fast swing that is a thrill for kids and adults alike. The Ballistic Swing Ride needs 60' in diameter to be set up and a somewhat flat surface. Can be set up on Asphalt or grass.